Do “Diets” Really Just Make You Fatter? Dieting is a multi-billion-dollar global industry. However, there’s no evidence people are becoming slimmer as a result. In fact, the opposite seems to be be true, and obesity has reached epidemic proportions all over the world. About 13% of the world’s adult population is now obese, and this number goes up to 35% in the United States (1, 2). Interestingly, there is some evidence that weight loss diets don’t work long-term, and that they may actually lead to weight gain. As the obesity epidemic continues to grow, many people turn to calorie-restricted diets in an attempt to lose weight. However, people with obesity aren’t the only ones dieting. Losing weight is a priority for many normal-weight or slightly overweight people, particularly women. Many researchers believe this is related to having a poor body image made worse by constant media exposure to slim models, celebrities and athletes (3, 4). The desire to be thinner can begin as early as grade school. In one study, more than 50% of normal-weight girls aged six to eight said that their ideal weight was lower than their actual weight (5). Girls’ beliefs about dieting and weight are often learned from their mothers. In one study, 90% of mothers reported they had dieted recently. Five-year-old daughters of dieting mothers were twice as likely to already have thoughts about dieting, compared to daughters of non-dieting mothers (6). Bottom Line: The desire to be thin is very common in women and can begin as early as five years old. Early awareness of dieting is often due to a mother’s dieting behavior. Losing weight is big business worldwide. It’s estimated that weight loss programs, products and other therapies generate more than $150 billion in profits in the US and Europe combined (7). The global weight loss market is predicted to reach more than $206 billion by 2019. Not surprisingly, weight loss programs can be quite expensive for someone who wants to lose more than a few pounds. One study found that the average cost to lose 11 lbs (5 kg) ranged from $755 for the Weight Watchers program to $2,730 for the medication orlistat (8). What’s more, most people go on many diets during the course of their lifetime. When these multiple attempts are taken into consideration, some people end up spending thousands of dollars pursuing weight loss, often without any long-term success. Bottom Line: The diet industry generates billions of dollars every year and is expected to continue to grow in response to people’s desire to lose weight. How successful are diets for achieving long-term weight loss? Overall, the results are pretty disappointing. In one study, three years after participants concluded a weight loss program, only 12% had kept off at least 75% of the weight they’d lost, while 40% had gained back more weight than they had originally lost (9). Another study found that five years after a group of women lost weight during a 6-month weight loss program, they weighed 7.9 lbs (3.6 kg) more than their starting weight, on average (10). Yet another study found that only 19% of people were able to maintain a 10% weight loss for 5 years (11). It also appears that weight regain occurs regardless of the type of diet used for weight loss, although some diets are linked to less regain than others. For instance, in a study comparing three diets, people who followed a diet high in monounsaturated fat regained less weight than those who followed a low-fat or control diet (12). A group of researchers who reviewed 14 weight loss studies believe that in many cases, regain may be higher than reported because follow-up rates are very low and weights are often self-reported by phone or mail (13). Although the percentage of people who regain weight is probably lower than the 95% figure you may have heard, research shows that the majority of people will gain back most of the weight, or even end up weighing more than before. Bottom Line: Although a small percentage of people manage to lose weight and keep it off, most people regain all or a portion of the weight they lost, and some gain back even more. Studies suggest that, rather than achieving weight loss, most people who frequently diet end up gaining weight in the long term. A 2013 review found that in 15 out of 20 studies of non-obese people, recent dieting behavior predicted weight gain over time (14). One factor that contributes to regain in people of normal weight is an increase in appetite hormones. The body boosts its production of these hunger-inducing hormones when it senses it has lost fat and muscle (15). In addition, calorie restriction and loss of muscle mass cause your body’s metabolism to slow down, making it easier to regain weight once you start eating normally again. In one study, when men of normal weight followed a diet providing 50% of their calorie needs for three weeks, they started burning 255 fewer calories each day (16). Many women first go on a diet in their early teen or pre-teen years. There is a lot of research showing that dieting during adolescence may increase the risk of becoming overweight or obese, or having disordered eating in the future (17). A 2006 study found that teens who dieted were twice as likely to become overweight as non-dieting teens, regardless of their starting weight (18). Although genetics play a large role in weight gain, studies on identical twins have shown that dieting behavior may be just as important (19, 20). In a study from Finland that followed 2,000 sets of twins over 10 years, a twin who reported dieting even one time was twice as likely to gain weight as his or her non-dieting twin, and the risk increased with additional dieting attempts (20). Bottom Line: Rather than producing lasting weight loss, dieting among non-obese people increases the risk of weight gain and obesity over time. Fortunately, there are some alternatives to dieting that give you a better chance of avoiding or reversing weight gain. Try shifting the focus from a dieting mentality to eating in a way that optimizes your health. To start, choose nourishing foods that keep you satisfied and allow you to maintain good energy levels so you feel your best. Eating mindfully is another helpful strategy. Slowing down, appreciating the eating experience and listening to your body’s hunger and fullness cues can improve your relationship with food and may lead to weight loss (21, 22, 23). Exercise can reduce stress and improve your overall health and sense of well-being. Research suggests that at least 30 minutes of daily physical activity is particularly beneficial for weight maintenance (24, 25). As far as the best form of exercise, it’s best to choose something you enjoy and can commit to doing on a long-term basis. The body mass index (BMI) is a measure of your weight in kilograms divided by the square of your height in meters. 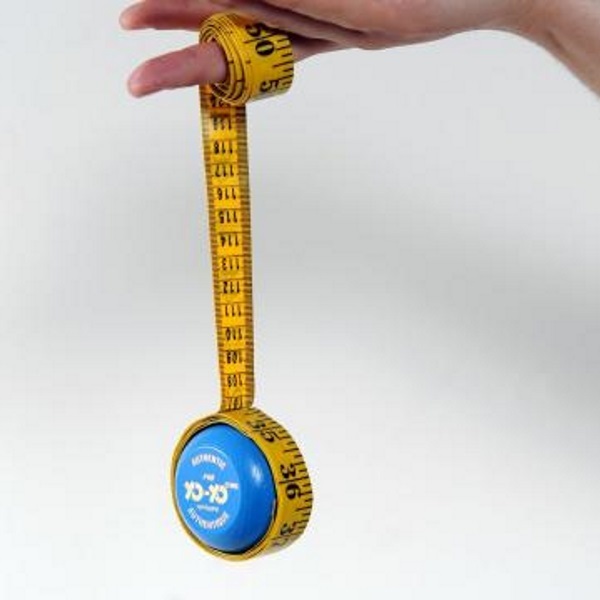 It’s often used to help people determine their healthy weight range. Researchers have challenged the usefulness of BMI for predicting health risk because it doesn’t account for differences in bone structure, age, gender, muscle mass or where a person’s body fat is stored (26). A BMI between 18.5 and 24.9 is classified as normal, while a BMI between 25 and 29.9 is considered overweight and a BMI above 30 is called obese. However, it’s important to recognize that you can be healthy even if you’re not at your so-called ideal weight. Some people feel and perform best at a weight higher than what’s considered a normal BMI. Although many diets promise to help you achieve your “dream body,” the truth is that some people simply aren’t cut out to be very thin. Studies actually suggest that being fit at a stable weight is healthier than losing and regaining weight through repeated cycles of dieting (27, 28, 29). Accepting your current weight can lead to increased self-esteem and body confidence, along with avoiding the lifelong frustration of trying to achieve an unrealistic weight goal (30, 31). Bottom Line: Try to focus on being healthier instead of aiming for some “ideal” weight. Let weight loss follow as a natural side effect of a healthy lifestyle. The desire to be thin often begins early in life, particularly among girls, and it can lead to chronic dieting and restrictive eating patterns. This can do more harm than good. Contrary to popular opinion, dieting usually doesn’t work over the long-term and may actually cause you to gain more weight over time. Breaking the dieting cycle can help you develop a better relationship with food and maintain a healthier stable weight.